Via your bank account or AXA ICBC Credit Card. To enroll, please call our Customer Service Hotline at 2802 2812 or visit our Customer Service Centre near you. Receipt will only be issued for cheque payment and payment at cashier office. Third Party Payment is not accepted unless under certain conditions. Please contact your Financial Consultant or call our Customer Service Hotline at 2802 2812 for assistance. Monthly premium has to be settled by autopay through bank. For the policy owners with inactive autopay status, please contact your Financial Consultant or call our Customer Service Hotline at 2802 2812 for assistance. Please settle the overdue premium within the grace period of the relevant policy to ensure the continual coverage of your policy. Any payment made subsequently, subject to our acceptance, will only entitle the Insured of the policy to be covered after the date of payment subject to the specific policy provision and not earlier. Payment can be made from any designated bank account (a) using a dial-tone telephone, please call 18031(English) or 18033(Cantonese); or (b) through Internet: www.ppshk.com. Please make payment at least 3 working days the due date for the relevant payment. For details on PPS service, please call PPS hotline on 2311 9876. Internet payment service user can access the internet banking website of your bank for payment. Please contact your bank for information of the service. Payment can be made through ATM (Automatic Teller Machine) of HSBC or JETCO with ’BILL PAYMENT’ or ‘JET PAYMENT’ services. Please refer to the details stated below and allow at least 3 working days before the due date for the relevant payment to be processed. All payment must be in Hong Kong dollars. Payment can be made by mail with a crossed cheque made payable to ‘AXA CHINA REGION INSURANCE COMPANY LIMITED’ together with the Payment Slip to our Cashier Office at P.O. Box 9362, General Post Office, Hong Kong. Please state clearly the insured’s name and the policy number on the back of the cheque and send this at least 3 working days before the due date for the relevant payment. If cheque payer is not the policy owner, please state the relationship to policy owner. Post-dated cheque will not be accepted. Payment can be made in person at any of our Cashier Offices. Payment can be made from any designated bank account (a) using a dial-tone telephone, please call 18031(English) or 18033 (Cantonese); or (b) through Internet: www.ppshk.com. Please make payment at least 3 working days before the due date for the relevant payment. Bill number: Please use 15-digit payment number to register your PPS account (if applicable). Third Party Payment is not accepted unless under certain conditions. Please contact your Financial Consultant or call our Customer Service Hotline at 2828 8567 for assistance. Monthly premium has to be settled by autopay through bank. For the policy owners with inactive autopay status, please contact your Financial Consultant or call our Customer Service Hotline at 2828 8567 for assistance. Internet service user can access the Internet banking website of your bank for payment. Please contact your bank for information of the service. Bill Account Number: Please use 15-digit payment number (if applicable). Payment can be made by mail with a crossed cheque made payable to ‘AXA China Region Insurance Company (Bermuda) Limited' together with the Premium Notice to our Cashier Office at P.O. Box 9362, General Post Office, Hong Kong. Monthly premium has to be settled by autopay through bank. For the policy with inactive autopay status, please contact your Financial Consultant or call our Customer Service Hotline at 2828 8657 for assistance. Please make payment at least 3 working days before Due Date. Receipt will be issued for cheque payment and payment at Cashier Office. Quarterly or Monthly premium has to be settled by autopay through bank. For the policy with inactive autopay status, please contact your Financial Consultant or call our Customer Service Hotline at 2802 2812 for assistance. Please settle the overdue premium within the Grace Period to ensure the continual coverage of your policy. Any payment made subsequently, subject to our acceptance, will only entitle the Insured to be covered after the date of payment subject to the specific policy provision and not earlier. Bill Account Number: Please use 8-digit policy number. Payment can be made through ATM (Automatic Teller Machine) of HSBC or JETCO with ’BILL PAYMENT’ or ‘JET PAYMENT’ services. Please refer to the details stated below and allow 3 working days before the due date for the relevant payment to be processed. All payments must be in Hong Kong dollars. Bill Number: Please use 8-digit policy number. Payment can be made by mail with a crossed cheque made payable to ‘AXA Wealth Management (Hong Kong) Limited’ together with the Premium Notice to our Cashier Office at P.O. Box 9362, General Post Office, Hong Kong. Payment (Except Cash) can be made in person at any of our Cashier Offices. Customers who have registered for MyAXA can pay renewal premium via MyAXA with VISA / MasterCard. 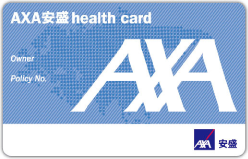 For more information about MyAXA, please visit this website https://www.axa.com.hk/en/myaxa. Please pay at least 3 working days before the due date for the relevant payment to be processed. The customer is responsible for the Service Charge if any and it will be included in the payment. Please settle the overdue premium within the grace period of the relevant policy to ensure the continual coverage of your policy. Any payment made subsequently, subject to our acceptance.